Butler, Party of 4: Happy Blogaversary to Me!! I officially began blogging 1 year ago today! Yep, March 9, 2010, I had the big blog debut!! I deciced to start blogging as a way to journal my engagement & keep friends and family posted. I have recently gotten major into the whole blogging scene. I really love this blog. I love writing. I love being able to share my feelings. And pictures. I love connecting with other bloggers. And stealing sharing ideas with/from them. I love knowing what's going on in my friends lives....yes, I socialize vicariously through blogging. I love having an outlet. I just LOVE it all. Don't you wish that just once, everyone who reads your blog would comment?? Just so you can know who all your lovely readers are. I'm sure we all have followers who aren't actually listed as followers, but are regular readers. 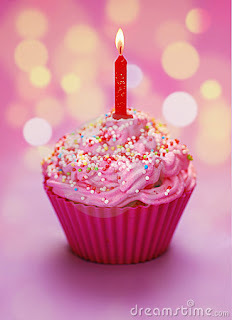 Maybe all those readers should wish me a HAPPY BLOGAVERSARY so I can know they're out there (and start following them!)!! Haha, just sayin'! Really, though, thank you for reading. HAPPY HAPPY BLOGAVERSARY DANIELLE!!! :) KEEP ON BLOGGIN'! Happy Anniversary!! I love the cupcake picture. Did you take that? HAPPY BLOGAVERSARY! Keep the blogging up! Happy Blogaversary! I'm not sure how I found your blog (through a blog of a blog, etc - I guess), but love to stop by and see what's going on. I'm also a middle school teacher and LOVE your positive outlook! yay for blogaversaries! apparently this is a very good time to be a new follower... so count me in! thanks, sweet friends! my blog & i hada a great day yesterday!! ha... :) yay for new followers! good times!!! I recently found your blog and have really enjoyed it. Happy blogging anniversary!